Few people outside the region know much about the Indonesian archipelago, the practice of Islam among its diverse peoples, or the religion's powerful influence on the politics of the republic. Author Robert Pringle is a historian, author and retired American diplomat. He served as a Foreign Service Officer in Indonesia in the early 1970s, specialising in Islamic issues. 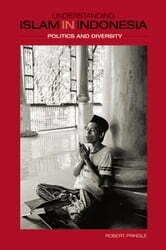 His incisive writing provides the necessary context and demystifies the spectrum of politically active Muslim groups in Indonesia today, and allows readers to gain a deeper and more accurate understanding of the country in terms of its religion, politics and history. Idrus F. Shahab et al.